We're giving one of two large size 10 ounce tins of Bag Balm to two lucky readers (one each)! Full details below the dotted line (if you want to skip ahead). Bag Balm is a petroleum based moisturizer originally made in Vermont and intended for use on the chapped skin of livestock living in harsh environments (like Vermont). It's one of those good old products that's stayed the same for over 100 years and can be used for so many things. Mary originally introduced me to Bag Balm when we first began dating over 7 years ago. She raved about this goop, for lack of a better word, that she used as a lip moisturizer, and would rub into her cuticles and on her feet monsters (shhhh), saying it was the only heavy duty moisturizer that would actually last. She also was proudly bragging that she'd had this green tin for over 2 years already and had barely scratched it's surface. I hesitantly tried it and have to admit, I fell in love. 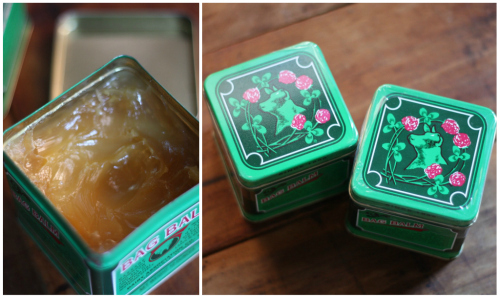 After always asking Mary to give me a scoop of the balm after that fateful day, she eventually bought me my own tin. This was a beautiful day — and she was right about it lasting forever. Now that we live together, we still have BOTH tins of Bag Balm (one on each floor) and haven't even gotten halfway through either of them. I'm telling you, this stuff is magical. Just like it says on the tin: Since 1899, Bag Balm has been the farmer's friend helping keep dairy cows from becoming chapped from the harsh Vermont environment. It's like having another hand on the farm or a helper around the house. 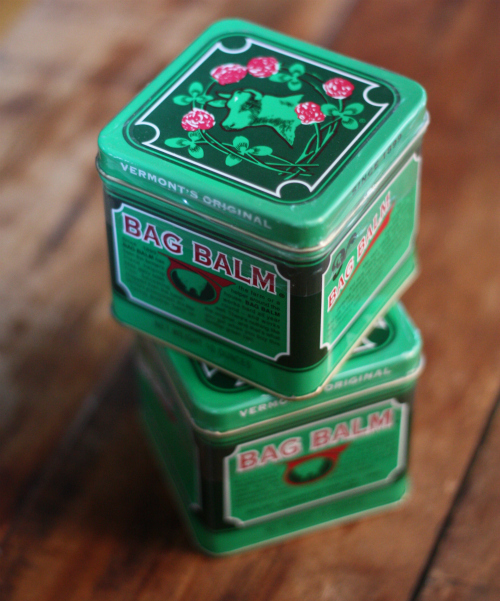 Bag Balm works hard all year round — and works well. There's nothing like the original, and that's what you get when you buy this familiar green can. After bringing Basil home, we even decided to try rubbing it on his paws one night after giving him a bath, laughing both about how Bag Balm was originally intended for animals anyway and at how shamelessly we spoil our dog. He laid there and let us rub his paws....of course. In any case, the balm did soften his chapped cracking paw pads overnight — giving us even more reasons to swear by it. Today we're giving away two 10 ounce tins to two different readers. We weren't paid or even asked by the makers of Bag Balm to give these tins away, we just want to spread the good word about this amazing balm since it still seems pretty under-wraps, no? To enter, simply visit Bag Balm's site to learn more about it, then leave a comment on this post and tell us if you were to win this giveaway, would you use the bag balm for udders, paws or palms. In our household, we use it for palms, lips, and paws. Follow this blog by clicking the "join this site" button in the top right sidebar and leave a new comment on this post letting us know. "Like" 17 Apart on Facebook , follow 17 Apart on Twitter, and sign up for our mailing list by clicking the button in our sidebar — leave 3 separate comments on this post for each letting us know you've done so. Share this post by clicking the Facebook Like button at the top of the post and leave a new comment on this post letting us know you've done so. Tweet about the giveaway including the following: "@17Apart is giving away two tins of Bag Balm: http://tinyurl.com/7yygcc3" along with anything else you'd like to include - then leave a new comment on this post letting us know you've done so. 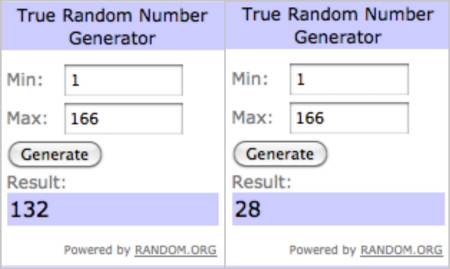 The giveaway will end Saturday, January 28, 2011 at 11:59 PM EST; the winner will be auto-generated using Random.org and updated in this post shortly thereafter. Be sure to come visit to find out the winner and good luck! I already do follow your blog! I've "liked" you on facebook! Oh that stuff is the bee's knees! We live in Alaska and use it for our dog Reuben after he goes tide pooling with our kids. The reef is absolutely wicked on his paws but you can't keep him away from it. And just "liked" you on FB. Thanks for the cool giveaway! 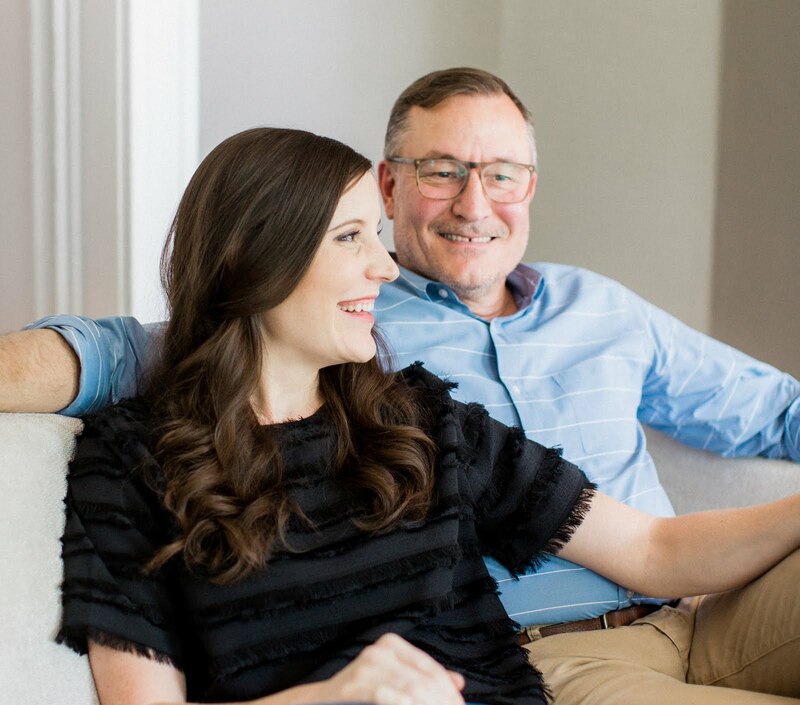 As our pediatrician once said, we're the dry skin family. Yep. That's us. Even if I don't win, I'm going to buy my own tin! Thanks Tim and Mary! I'm signed up on your mailing list. I clicked the like button at the top. I'd use it for lips & hands - this cold weather is tough on skin. We would use it for hands and feet. The cold harsh winter is drying me out!!! I love this stuff, it reminds me of my mother! Joined yourJj site! I would use it on palms and lips. Would love to try it on palms and paws! I'd use it for everything! I would use it on my heels. My feet get dry in the winter. This is great. My grandma used it on her farm. I would you use the bag balm for palms. My whole family would probably use it for paws. I would use the bag balm on my lips because they get so dry in the winter! This is good stuff! Thanks for the giveaway! Would use it for hands and to take care of my dog. I liked 17 apart on facebook. I subscribed to your mailing list. I tweeted about bag balm. Bag Balm is great stuff, I would use it on both my knees and hands an elbows! I signed up for your mailing list! Would love to win some for paws! I would definitely use Bag Balm for my dry hands. Following via GFC as Danielle/See Shop Love! I learned that the lanolin it contains it great for dry skin and we'd be using it on hands, feet, lips, & cat paws in my household. Liked 17 Apart on FB. @hazelfinn follows @17Apart on Twitter. I would use this as diaper rash prevention.It works great! I would use it on my hands, my lips, and my puppy's paws! Hi! I follow your blog - mainly because of Basil! We live in Richmond and have a 5 month old Weimaraner, Deacon. I'd definitely use the balm on his paws! Most likely my hands as well :) I love reading your stories about him. Catey - we should get Deacon and Basil together for a play date! Where did you get your weim? We should! I have seen two other weimaraners in our neighborhood, but he's never played with them. We got Deacon from Angola Creek Kennel in Farmville. Where did you get Basil? I remember receiving this wonder goop as a "gag" baby shower gift; however, I DID use it on my nursing udders and it was fab. Haven't thought about it in many years, but would love to try it again for my heels, hands and lips. Thanks! We use this for my niece's super dry skin a lot! We found that this product took the pain out of sunburns. Christina - xristya@rock.com - Like you, palms, lips and paws! My Uncle Henry uses this to soothe mother goat udders. Bag balm is also a great lip balm, too. I like 17 Apart on Facebook. I am following 17 Apart on Twitter. My Twitter name is foodhistorian. I subscribed to 17 Apart email updates. probably for palms in this household! I would use it for palms and paws (my dog's and mine). I would use it on palms and perhaps lips. I would use it on my paws (feet). The tin I have is just about empty, so winning this would be great! I would definitely use it on my hands!! Someone gave me a bit of theres once and i fell in love!!! Paws, lips, hands etc. I'd love to have one specifically for puppy! We'd use it for our lips! We would use it for paws, cracked dry skin on hands & feet. Liked your FB page - Quanda. I would use it for paws and palms. We'd use if for paws, for our dog Peaches. Liked 17 Apart on Facebook. I would use it on my lips.